Whilst Crossy Road plush toys have been around for a while, the licensed 8-bit mini collectable figurines from Moose Toys are brand new. 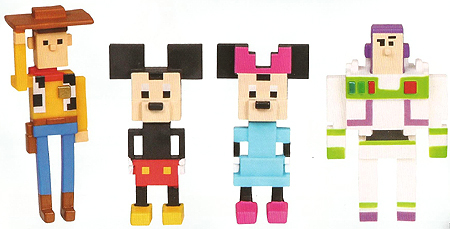 First to get the 8-bit pixelated makeover are the Series 1 Disney and Pixar Crossy Road figures with over 40 to collect. Launching in May 2017 and distributed in the UK by Character, the single blind boxed figures retailing at £3.49 are central to the collectable range. Special 4 packs and 7 packs will have exclusive and hidden figures. The 40 figures in Series 1 are made up from key Disney franchises like Mickey & Friends, Toy Story, Big Hero 6 and The Lion King. The cult Crossy Road app has had a ridiculous number of downloads running into the tens of millions from younger fans and kidults alike. Fans love to win new characters from the Gumball Machine. Now they can get their very own toy Gumball Machine Playset which dispenses two exclusive figurines. Watch out for rare, super rare, epic ultra rare and limited edition ‘metallic’ Crossy Road figures. 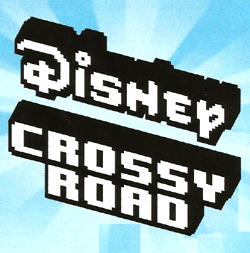 The Disney Pixar theme should be the first of many as the Crossy Road figurine range will be applied to many different brands in further series. Crossy Road fans will be hopping mad for the new Disney Crossy Road figures.